A man suspected of fleeing authorities in his half-sister’s SUV allegedly exposed himself to a woman on Monday near the Cal Poly campus, according to the San Luis Obispo Police Department. In the morning, a man believed to be 50 to 60 years old exposed himself to the female in the area of Slack Street and Grand Avenue, police said. The suspect was traveling in a dark blue Ford Escape with the license plate number 6XJC556. The vehicle is owned by a woman who believes her half-brother is driving the SUV. She has opted not to file a stolen vehicle report with the Fresno Police Department, police said. San Luis Obispo police are seeking to interview the driver over the exposure incident. Police describe the man as being white with tan skin, a heavy build and salt and pepper hair and beard. 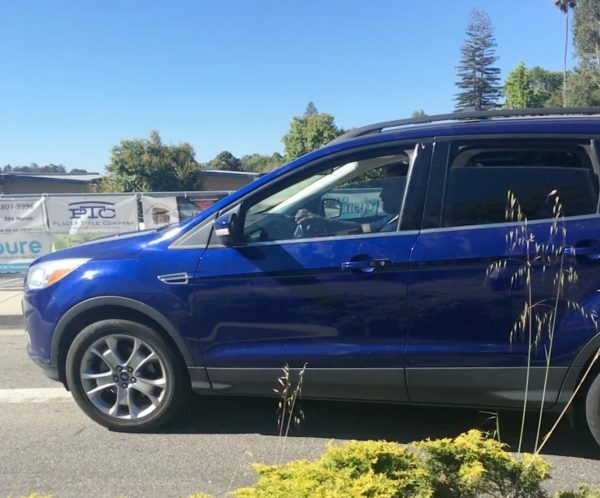 Anyone who spots the vehicle is asked to call officer Edwards at (805) 594-8030.